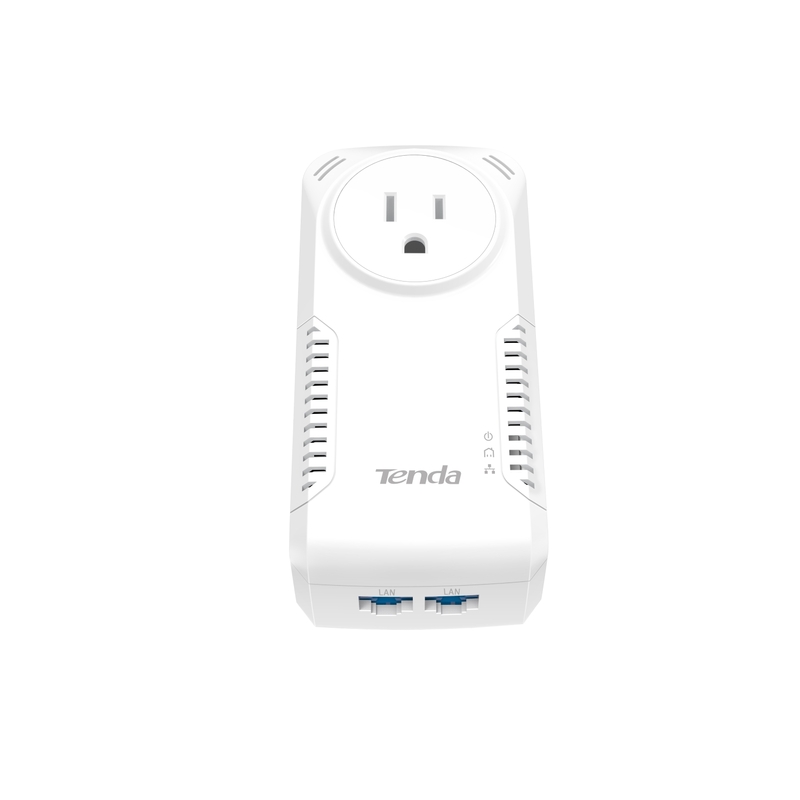 January 20, 2016, Walnut City, USA – Tenda Technology Inc.® a subsidiary of Shenzhen Tenda, an experienced, global brand of wired and wireless networking hardware, announces the P1002P powerline adapter. With two LAN ports, HomePlug AV2 compliance, and Gigabit 1000Mbps speed, the P1002P brings the perks of a stable, fast wired connection anywhere. It's perfect for areas with poor WiFi coverage and unreliable connections or when stretching out long, messy wires is impossible or too tedious. 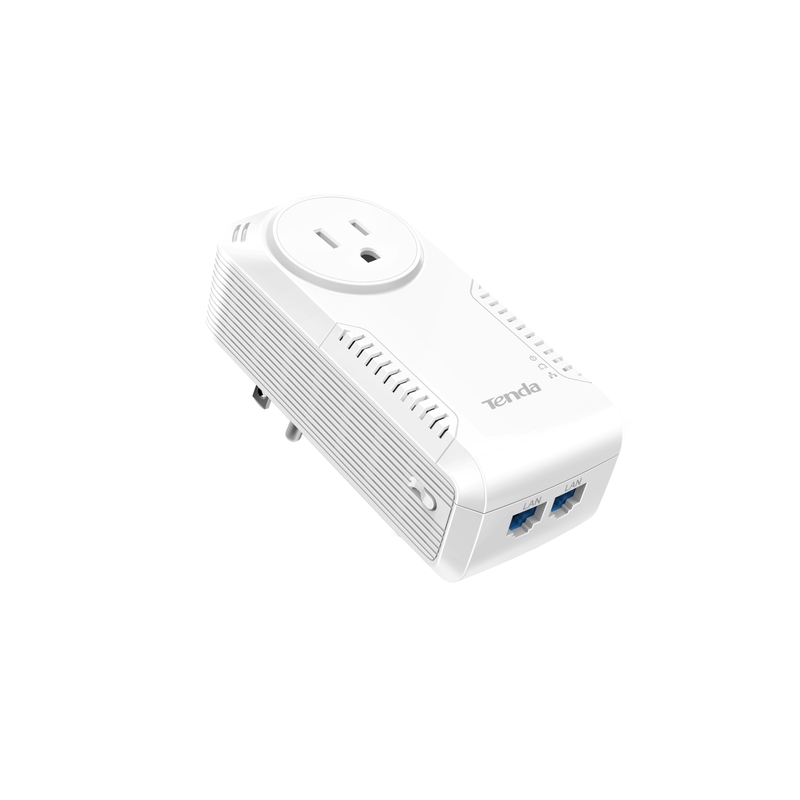 The P1002P makes setting up a home network as easy as plugging into an outlet. The P1002P is designed for ease of operation. It really only needs to be plugged in. There is no need to lay down a web of complicated cables – the P1002P uses your existing power lines, saving time and money. It works over any power line in your home at distances up to 300m. 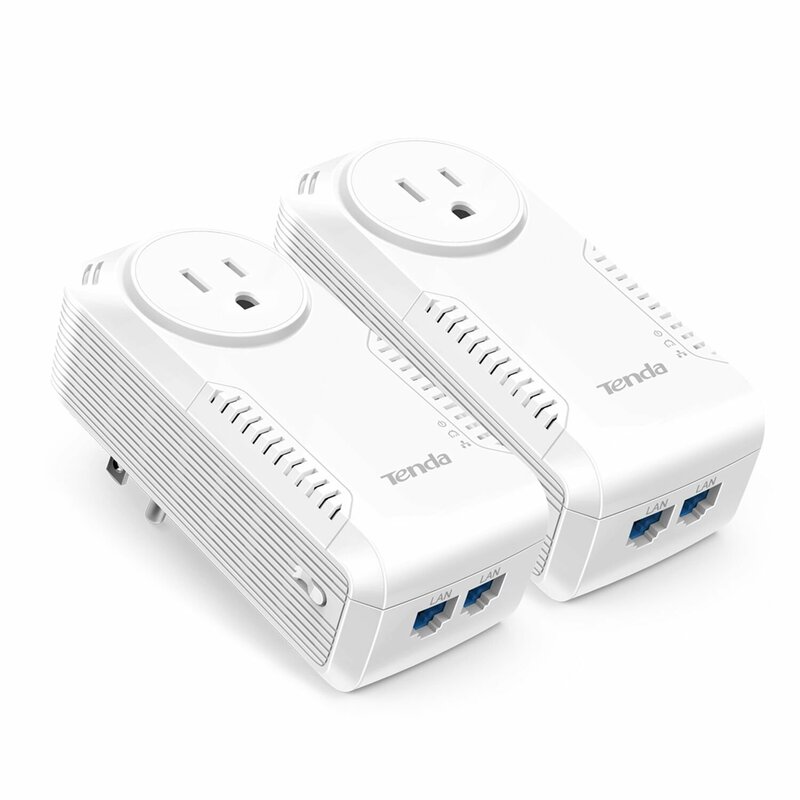 Each device in the pair plugs into a power socket with two 1000Mbps Ethernet ports. One device needs to be located near and connected to the home router. Hitting the 'Push-and-Secure' button activates 123-bit AES encryption for added security between the paired devices. It supports QoS and IGMP managed multicast IO transmission to optimize IPTV streaming. The P1002P adheres to the HomePlug AV2 standard. According to the HomePlug Alliance, AV2 technology supports next-generation broadband speeds – ideal for video streaming, multi-room IPTV, online gaming, and other demanding network uses, particularly with multiple simultaneous 4K Ultra HD devices. See more here: http://goo.gl/BU4pFw or here: http://www.homeplug.org/tech-resources/hpav2_next_gen/. This standard is backwards compatible with IEEE1901 and HomePlug AV products. The P1002P is also compatible with powerline adapters from other brands, even at different data rates. The P1002P has a power socket pass-through so it doesn't take up a power outlet. It can support up to 3600W to protect connected devices and includes a noise filter to enhance streaming and other intensive continuous network usage. Its Greenlumi power-saving standby mode automatically triggers while idle, reducing its power consumption to 0.5W. The P1002P is available at Tenda Amazon store for $61.99. More information on The P1002P's product page.